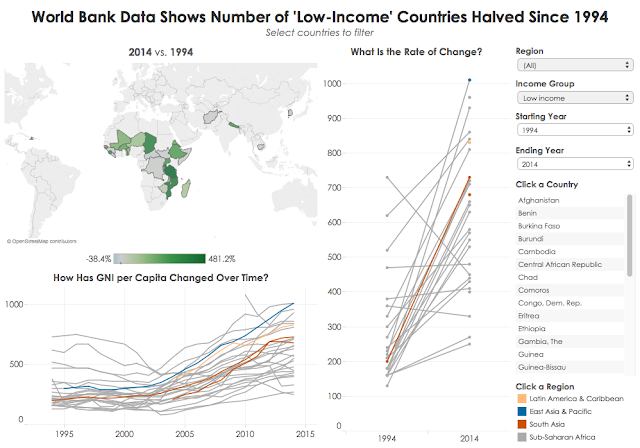 Makeover Monday: How has the GNI of Low-Income Countries Changed in the Last 20 Years? Look at the title of the viz. Look again. It has NOTHING to do with the title of the article. It’s main focus is on the current Gross National Income. Yes, there is some more information in the article, but isnt the point of including a visualisation to enhance the data and make it more understandable? 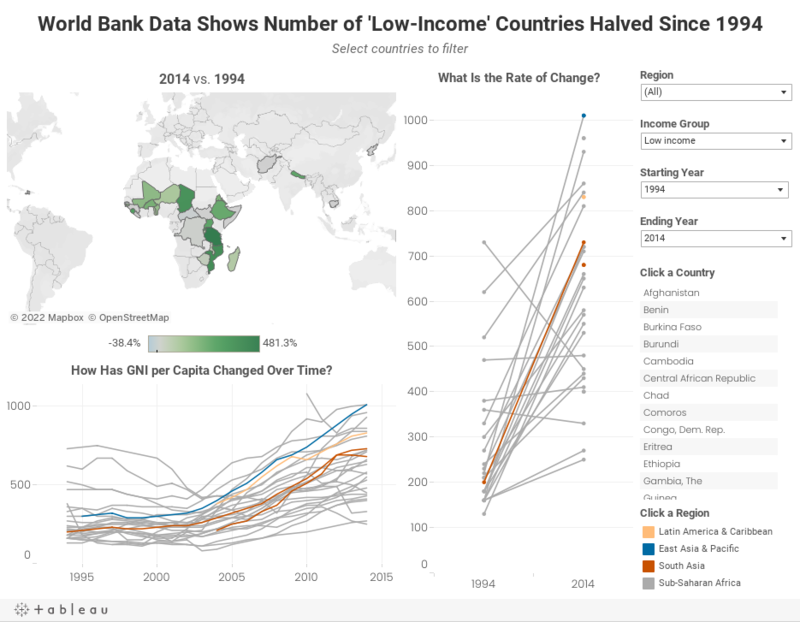 I’ve set the defaults for the viz to the same as those of the article (1994 vs. 2014), but you can see very different stories if you look at different date ranges. How did I do? Did I accomplish these goals? Did I provide you with an avenue for additional insight?